Way back in 2001, Joe Madureira put his fantasy comic series Battle Chasers on hold after only a nine-issue run over the course of three years. His reason? To pursue a career in game development. I never read the comics myself, but the imagery speaks for itself. Battle Chasers looks like a Japanese role-playing game shoved into a comic book. 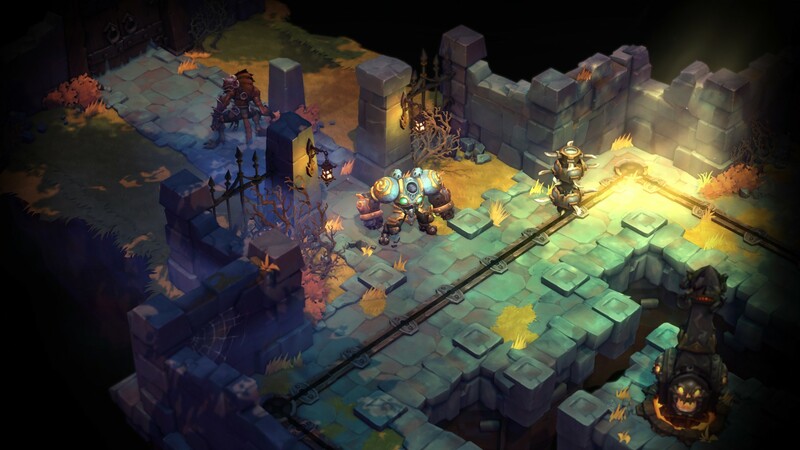 So, after a successful Kickstarter campaign, Battle Chasers: Nightwar transforms Joe's cult comic series into a fun and visually striking turn-based RPG. 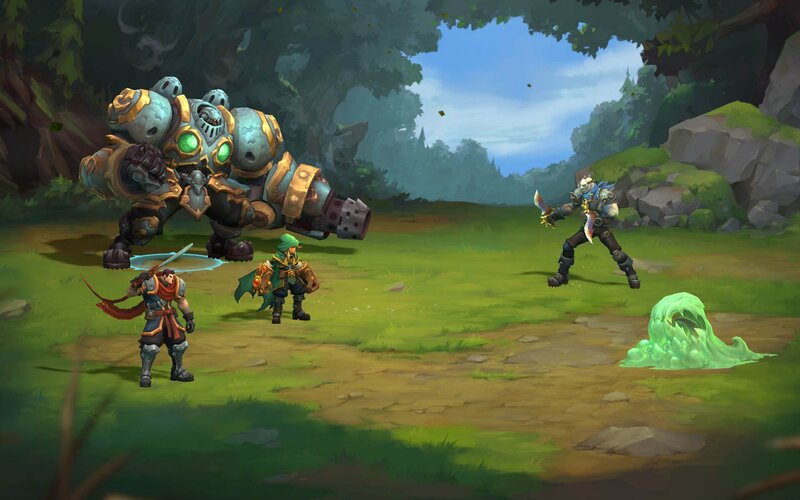 Battle Chasers opens with the same cast of characters readers of the comics will be familiar with -- brooding swordsman Garrison, war golem Calibretto, underdressed rogue Red Monika, wisecracking mage Knolan, and the punch-happy Gully -- getting attacked aboard their airship. The party is shot down above an unknown island and separated. Gully and Callibretto's first task is finding Garrison and the others. Once all that's settled, you'll need to find out who shot the party down and why they were attacked in the first place. 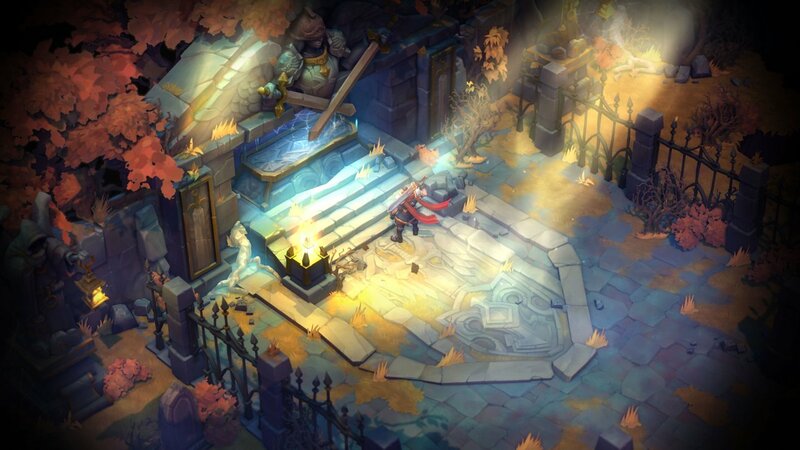 The story does a good job of feeling like a fun side story for those familiar with the source material and easing in players like myself who are unfamiliar with the Battle Chasers characters. I was introduced to a huge cast of characters very quickly, but it never felt overwhelming, though that may be the product of each character sticking pretty close to fantasy tropes from the brooding lone swordsman to the rogue out for her own interests. Mechanically, Nightwar combines Diablo and Divinity: Original Sin style exploration areas with turn-based combat. You start with walking set pathways on the world map, and going over an enemy marker will result in you entering a combat instance. You can also grab loot along the path, but for the most part, it's a way to grind and move from dungeon to dungeon. Things shift to an isometric perspective when you enter a dungeon and you can explore the beautiful environments and grab some loot when you aren't in combat. Every character also has abilities for use outside of combat. Some will damage or inflict status effects on your opponents before the encounter starts, while others can heal the party or allow you to dodge enemies and traps. You select the dungeon's difficulty when you enter, so running them multiple times for better loot adds a layer of replayability and can add a new challenge if you find the game lacking in that department. Most of the dungeons are pretty simple, but it's Nightwar's combat that shines the brightest. For the first few dungeons, you won't have a problem brute forcing your way through encounters, but late-game fights rely heavily on strategy. You'll have to juggle multiple buffs and debuffs and balance your party with characters that have complementary abilities. The unique overcharge mechanic adds an interesting layer to combat as well. When characters use their basic non-mana-consuming actions, they generate overcharge, which stacks on top of their mana bar. Overcharge will always be used first in place of mana. Some moves even deal bonus damage or status effects by consuming extra overcharge. Any overcharged gained is specific to that encounter and won't carry over into the next combat encounter. Nightwar follows the conventions of some old-school role-playing games that I love, but this can also be a noticeable weakness around the ten-hour mark as combat makes a significant jump in difficulty, leading to a few grind-heavy hours. Sleeping at the inn in the town of Harm's Way well reset encounters on the world map, so you can keep spawning monsters to smack down and get more experience. Taking a second stab at dungeons on higher difficulties can also help you gain those much-needed levels. 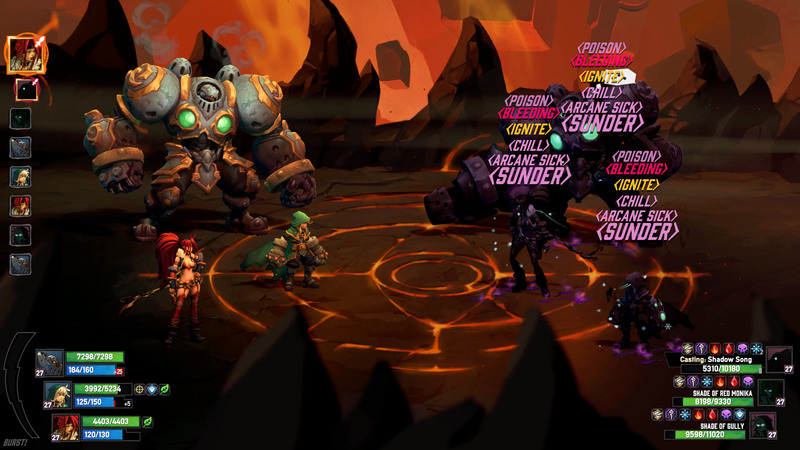 Battle Chasers: Nightwar is a well-put-together and challenging old-school RPG. There's something here even if you have no love or knowledge of the comic series. While there are whispers that this game might mean Battle Chasers will return to print, I'd honestly prefer another game for this cast of characters. 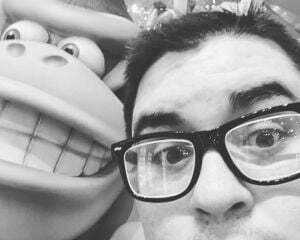 Now I'll just wait for the Switch version so I can play it all over again.